What to do on a day trip from Kathmandu? Kathmandu offers more things to do on a day trip than anywhere else in Nepal - best of all there are many types of day trips available. Whether you are an independent traveler or looking for a package tour everyone can easily do a day trip around Kathmandu. 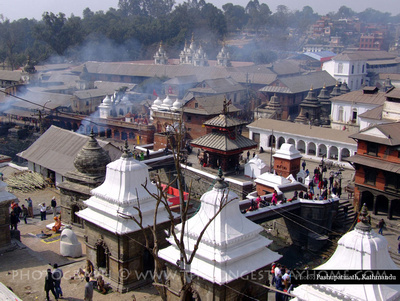 Do understand that Kathmandu has two distinct areas that fall under the broad term of "Kathmandu". There's Kathmandu city which is within the Kathmandu Valley. Both Kathmandu city and the Kathmandu Valley have a whole host of activities and day trips that tourists and travelers can venture to. It's about a maximum of 2 hours from Kathmandu city to the outskirts of the Kathmandu Valley. While most of the country can be reached within a day from Kathmandu we'll look at what most people can do on half day or on a full day out from Kathmandu city by leaving in the morning and coming back in the evening. This page will often refer to the best guide to the Kathmandu Valley found on this website. It will also refer to the many free guides on this site that will help you make the most out of each place mentioned. Do explore the guides thoroughly as there are plenty of tips in every section not shown anywhere else. Some travel guides will include places like Kathmandu Durbar Square, Boudhanath, Pashupatinath or Swayambhunath as "day trips". However, they really are a part of Kathmandu city proper and don't take up a full day. Do read my guides on what to do in Kathmandu city and indeed my full guide on Kathmandu city to learn more. Let's take a quick look at the most popular quick trips around Kathmandu city remembering you can add many of them all together to make up a full day trip! However, they really are a part of Kathmandu city proper. Do read about them above. Meanwhile let's move on to real morning or half-day trips you can enjoy around Kathmandu. Patan Durbar Square is on just about every itinerary for Nepal. Deservedly so. It's one of the finest ancient royal city squares in the world. Filled with wonderfully diverse temples unlike anywhere else the square alone is worth of a half-day trip. What many people don't realize is that there's more to Patan than just the main square. There's the northern area, southern and western areas of the old city which are also filled with contrasting temples and shrines. All of these areas are described (with maps) in my guidebook to Nepal in detail. Some of which are not found anywhere else in world like the Balkumari temple. So yes, a full-day trip to Patan is well worth exploring! 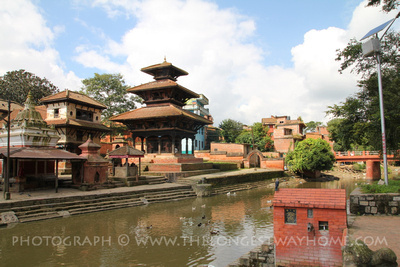 Do read my free online guide to Patan. One of Nepal's premier cultural attractions the old city of Bhaktapur is one of the must visit sights in all Nepal. 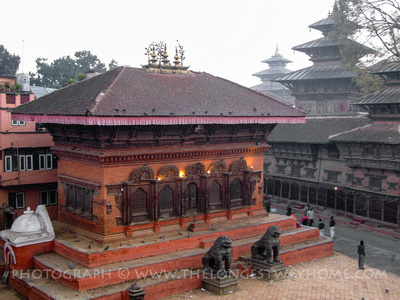 Again, there's more to Bhaktapur than just "Bhaktapur Durbar Square". The old city is actually made up of three large squares a smaller pottery square and near on countless fascinating streets and small squares. 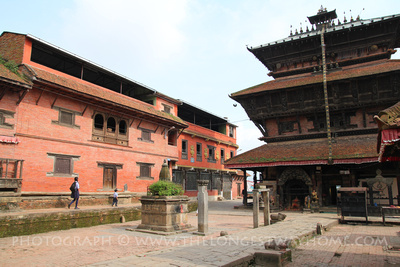 Visiting Bhaktapur is often like stepping back in time. Stone paved streets, Newari style buildings, shrines, temples and a living heritage culture that's a rarity anywhere in the world. 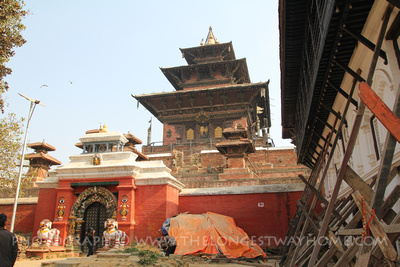 Old world heritage walks via my Nepal guidebook will show you many of these incredible sights along with many unknown places not found anywhere else. Bhaktapur is far more worthy of a two or more day trip rather than just a single day-trip as there are some great accommodation options available for all budgets. Do read my free online guide to Bhaktapur. If you are looking for a day trip in the outer reaches of the Kathmandu Valley then Panauti is the place. It's easier getting to Panauti than you may at first think. Once you get there it's easier still with in my opinion some of the best preserved heritage buildings in all Nepal. 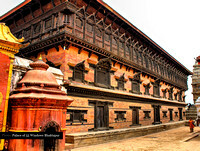 Yes, Panauti rivals Bhaktapur (on a much smaller scale), in terms of preservation and presentation. It's a Newari township that gets little press, write ups or visitors. IT's off the tourist tours and this makes it even more appealing. There's a full chapter dedicated to Panauti in my Nepal guidebook. If you want to visit a unique place that's still every bit as untouched as Kathmandu way 50 years ago then Panauti should be on your must visit list. Do read my free online guide to Panauti. 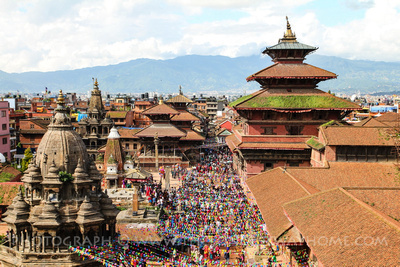 A favorite location for many people visiting Kathmandu seeking greener areas with mountains. A 2 hour ride to Nagarkot from Kathmandu will take you from dusty city to pristine valleys with Himalayan views. While a day trip to Nagarkot is very easy and feasible the real secret is to stay overnight and enjoy the sunrise from one of the mountain viewing platforms. An alternative is spend overnight in Bhaktapur and leave early for sunrise on day trip to Nagarkot. 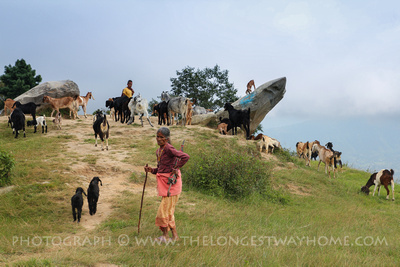 Do read my free online guide to Nagarkot. Another cultural and hiking location that's somewhat off the typical tourist trail. Technically Dhulikhel if just outside the Kathmandu Valley, but that doesn't matter as the road is good and it's reachable within a 2 hour ride. Within a day-trip to Dhulikhel you can easily visit all of the old heritage sights in the city and hike up to the Kali Shrine which is part of the Namobuddha hiking circuit. Spending an overnight in Dhulikhel is well worth it for culture lovers and those who like to do day hikes as there are many that surround Dhulikhel. Once again Dhulikhel is off the main tourist trail and many tours don't stretch out this far so you'll get to enjoy it that bit more. 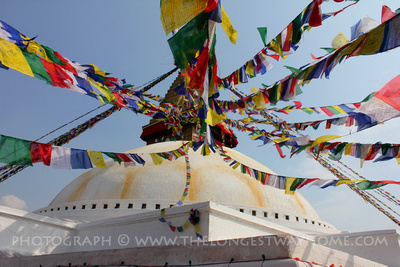 Do read my free online guide to Dhulikhel. All of the above half-day and full-day trips around Kathmandu can be done independently with the transport and visiting details available in their individual guides. However, sometimes you may want to book ahead from home if you are short on time. 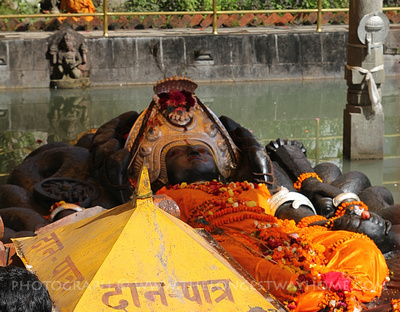 The following are some recommended day-trips around Kathmandu that you can book online. If you'd like to use a local company that provides private tours with your own jeep and driver/guide then feel free to contact me. Throughout this guide you will have read about places noted as being off the beaten path or not on any tourist trails. These places like Panauti, Thimi or even parts of Bhaktapur are not on typical package day trip tours. You can reach them independently or via private cars. If you'd like to book a private jeep or car with a guide from a fully qualified local guide then feel free to contact me. However do realize that while private tours with your own car can help you see places no one else does, or visit places faster they can cost more than a typical package tour. The main different in a private tour is that you'll have a comfortable car or jeep to yourself alone with a driver and guide so you easily spend more time in one place than another, or drive off to another place you may spot on the way. Everything listed on this page can be visited by local public transport. 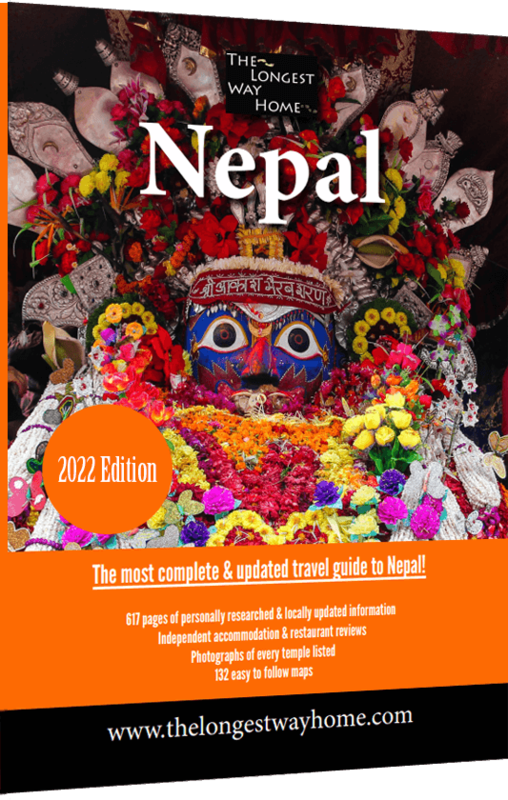 I do encourage you to spend some time reading through each section of what many people consider the best guide to Nepal. Each section will tell you how to reach a place independently by public transport which will be the cheapest way to reduce your budget costs. Next, do read my free dedicated budget travelers guide to Nepal which will give you even more tips on show to safe money not just around Kathmandu but all around Nepal. Finally, no matter your budget do consider purchasing my full guidebook to Nepal. Every section has much more detailed transportation costs, entry fees and budget considerations than found here. The trekking section alone will save you $100's which is something to consider. Moreover, the Kathmandu Valley section contains exclusive independent walking tours found nowhere else! 500+ pages of premium content for only about $20. That's a tiny investment for big savings and exclusive premium guides that will show you places in Nepal no other book does! That's a guarantee! Check out the details below and you'll see why, this is better than any other guidebook, I promise.